Recently the renowned supercar manufacturer under the umbrella of Volkswagen Group, Lamborghini reportedly developing the electric vehicle technology. 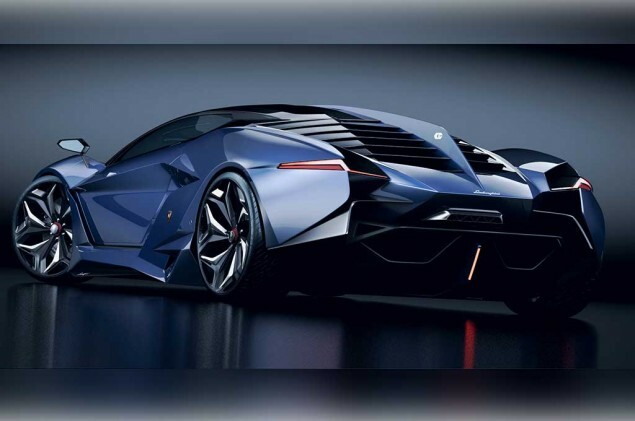 Reportedly, the electric hypercar will be named Lamborghini Vitola. And the name of 'Vitola' itself means "cigars" and will use the design of Polish designer named Paul Czyewski. Not only uses alternative energy, the electric hypercars are predicted to be receiving technical assistance from Porsche. As already known, that Porsche which is also under the same umbrella of the Volkswagen Group, some time ago has also announced the launch of electric-powered supercar called Mission E.
As quoted from Autoevolution, that Lamborghini and Porsche will share a platform technology of electric-powered vehicles where the latest electric hypercar of Lamborghini will use the J1 platform that uses two electric motors-owned Porsche Mission E.
And if the Lambo hypercar uses electric motors of Mission E, certainly the Vitola will be released after the Mission E introduced and the hypercars planned to be launched in 2020. Later, both eco-friendly cars will compete in the global automotive market. So far, Lamborghini claims that the Vitola can be accelerated from 0 to 100 km/h in just 2.5 seconds. The top speed of these electric hypercar reach up to 186 mph, or about 300 km/h. Although using the same battery, but the total weight of Lamborghini Vitola hypercar claimed will be more lighter than the Porsche Mission E.
However, other information mentioned, Lamborghini will make some technical changes. Another objective was to increase the power of the electric motor. But there is no detailed information about the technical changes. This is probably because Lamborghini itself was said to avoid direct competition with other automotive manufacturers such as Ferrari and Pagani in developing alternative energy vehicles.